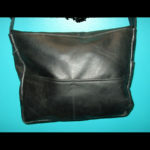 Absolutely wonderful black leather handmade handbag. This is what I call a Pony Express style bag. It has the large flap that is rough cut on the edges. All wonderful, soft cowhide in a rich, gorgeous black color. 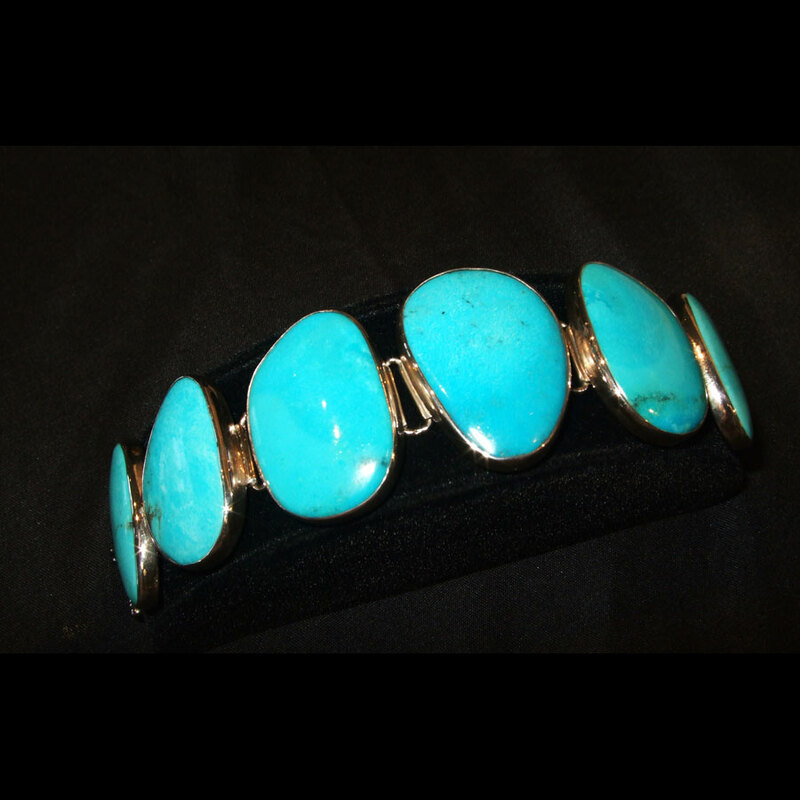 Inset into the front of the purse is a beautiful piece of genuine Turquoise. This piece was hand selected for this bag as it has some beautiful black matrix running through it that makes it perfect for this handbag! This bag is all handmade by one of our fabulous artist friends in Colorado. 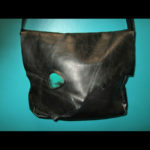 She is a master leather artist and her bags are as stunning as they are practical. Dimensions are approximately 13″ wide X 11″ tall. It has a long strap that is totally adjustable with a silver buckle. 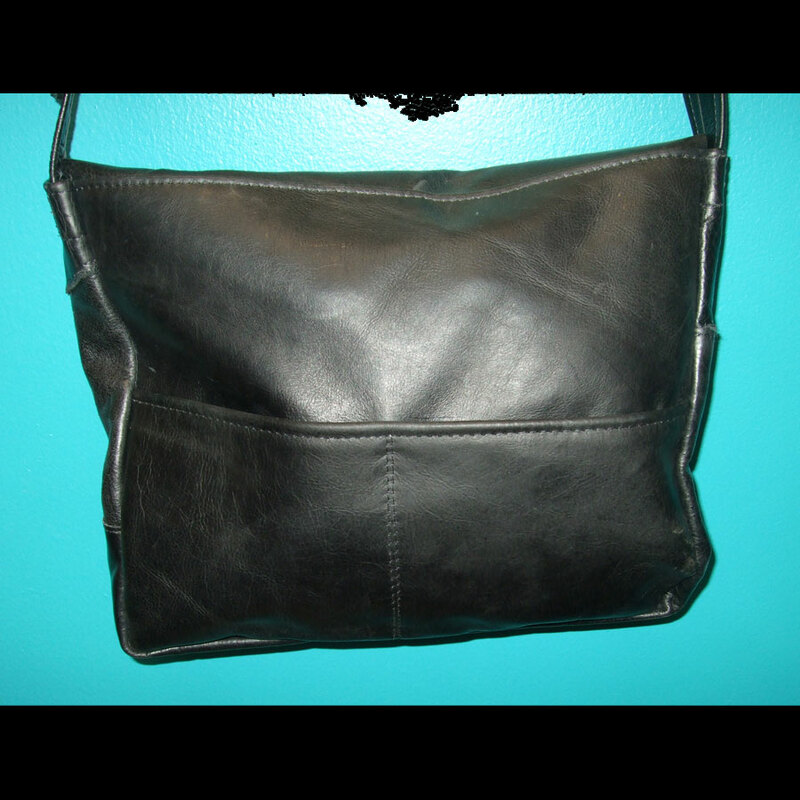 There are 2 large pockets on the back of the purse. Inside has one large zippered pocket and 4 other small pockets to help organize all your belongings. This bag will be one that you can carry forever. Lifetime warranty on the workmanship. Available in other colors, as well. Email me if you want a different color and I can get it for you! 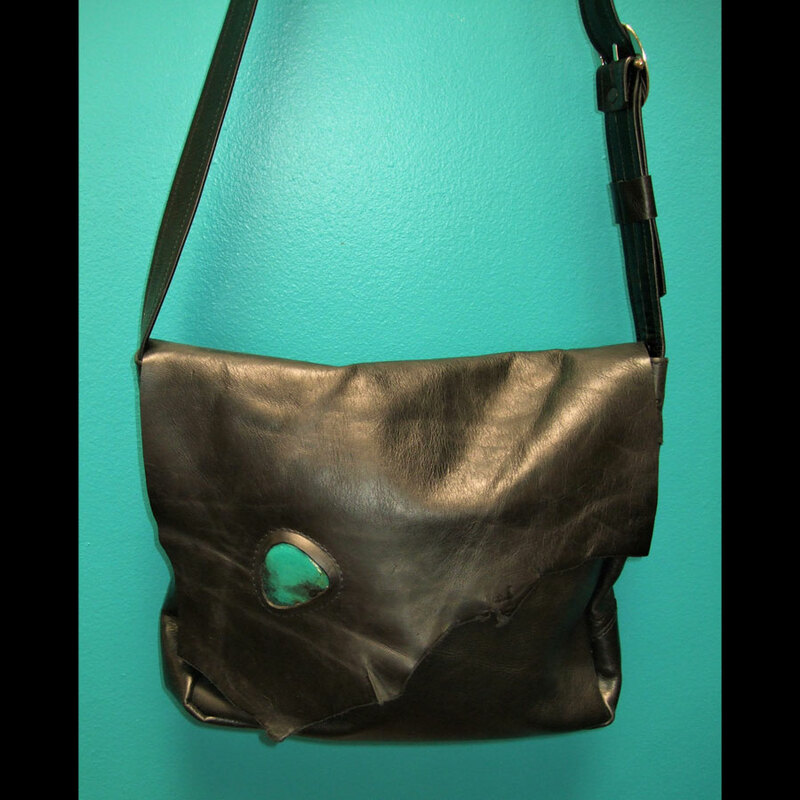 You will love this bag! It is functional, beautiful and with the stone set in the front, very striking!